Q: In January, you were traded by Los Angeles back to Calgary and were reunited with Iginla. How did you find out about the trade? A: We were coming from Edmonton, and we stopped in Red Deer, Alberta, for a team skate at an outdoor rink. They had about 1,000 people there to watch, and I was the last one off the ice. I was signing autographs because it’s so close to Calgary and there were lots of Flames fans that had my jersey from when I played there before. They were saying, „We miss you in Calgary,“ and I was saying, „I miss Calgary, too. I always loved it there.“ As I was getting off the ice, the Kings PR guy came up to me and said, „Coach Crawford wants to talk to you.“ So, I thought, „This is trouble.“ I went up to Crawford, and he said, „You’ve been traded here.“ I said, „Here? I’ve been traded to Red Deer?“ [Laughs]. 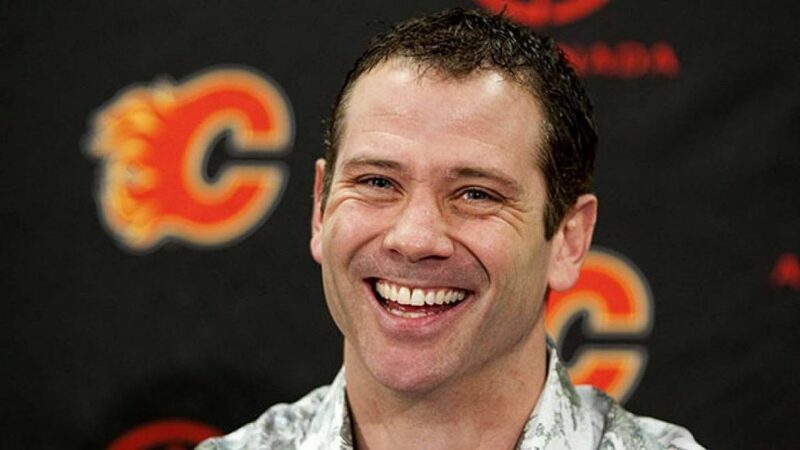 So, I was traded to Calgary, the rest of the team got on the bus for the next game and I waited for a car to pick me up. It was pretty crazy to leave my team that way. https://emprechtinger.com/wp-content/uploads/2018/04/craig-conroy-calgary.jpg 664 1180 Gerald Emprechtinger https://emprechtinger.com/wp-content/uploads/2018/04/emprechtinger-com-logo-2.png Gerald Emprechtinger2007-03-22 18:21:352018-04-16 20:23:45Modern Slaves?